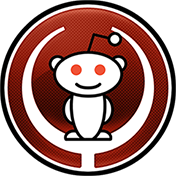 QuakeLive Reddit channel organizes a 1v1 tournament on Sunday 13:00 GMT, 18 January 2015. Read the full rules below before signing up. Sign-ups are open here to anyone with a QuakeLive account older than 3 months & with over 300 duels. Must have a QL account older than 3 months and with over 300 duels. Check-in at our irc channel #qlreddit@quakenet by PM’ing ‘crazyal‘ or ‘tepes‘. You are required to remain in the IRC channel until the tourney has concluded or you are eliminated. The tourney is not restricted to European players only, but it is restriced to European servers. Lower bracket matches are best of one (Bo1). Upper bracket matches are best of three (Bo3). Grand final is best of five (Bo5). Callvote cointoss; winner decides who picks first. Bo1: each player eliminates a map until one remains. QLReddit livestream If anyone feels confident enough to come on stream and cast some games, feel free to contact ‘crazyal‘ or ‘tepes‘.